This graph plots condo sales numbers by price range for February of 2019 versus 2018. While total condo sales are down, all of the decrease is in condos sold under $500,000.This graph plots condo sales numbers by price range for February of 2019 versus 2018. While total condo sales are down, all of the decrease is in condos sold under $500,000. 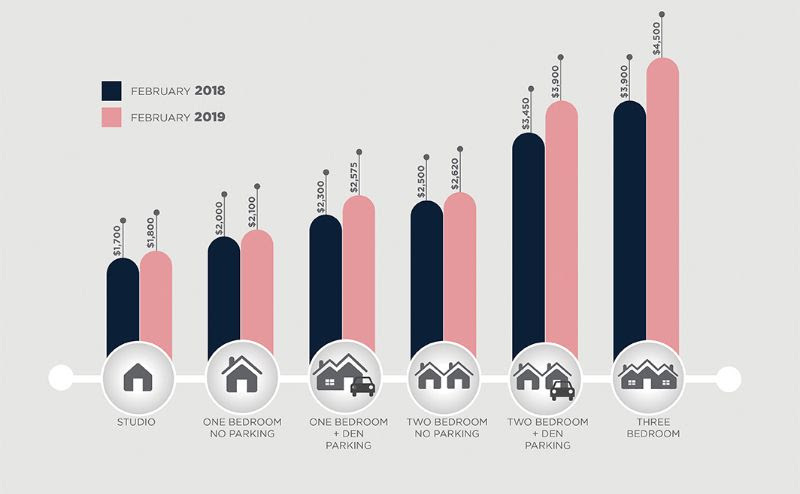 This graph compares the rental prices of downtown condos from February of this year to February 2018.